Tessa was raised in Northwest Montana, but calls North Idaho home. She and her husband have a spunky, fun‐loving two year old daughter, 2 dogs, 4 cats, and 1 horse. Tessa enjoys hiking, hunting, and spending time in the mountains. 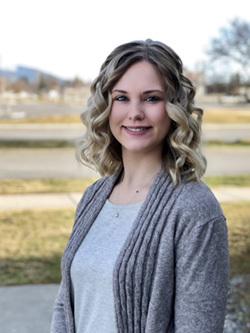 Tessa has been in the industry for over 6 years and joined Dickinson Insurance in October of 2016. She enjoys working with clients and making sure that their insurance needs are adequately taken care of. Tessa’s Claim to Fame: She once ate a whole gallon of ice cream in one sitting.